Do you know what Soundscape means? The environment around us is full of sounds. If you stand near a waterfall in the forest, what kind of sounds do you hear? You might hear the sounds of a waterfall, song of birds and insects, and human voices. If you strain your ears, you can catch the sound of the wind and the rustlings of leaves. We call this the “Soundscape”- the mixture of all the sounds in an environment. One of the research themes in the OKEON Churamori Project is the use of soundscape data. 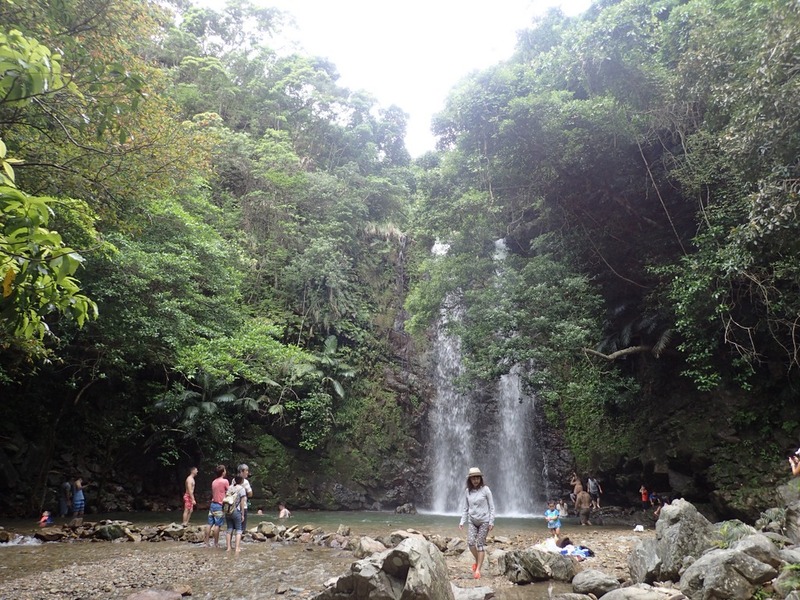 Dr. Nick has been researching the patterns and changes in the soundscapes of Okinawa, with a focus on bird calls. 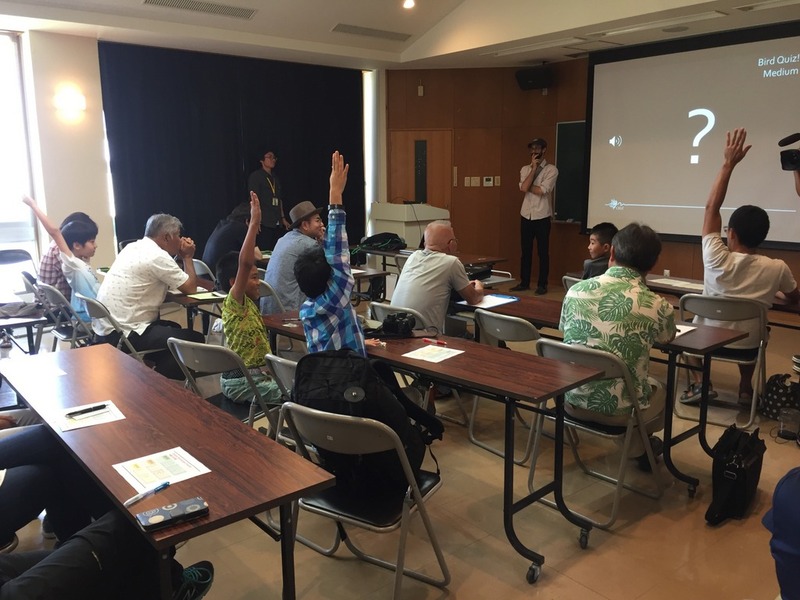 Two series of workshops on soundscapes were co-hosted by Manko Waterbird and Wetland Center of Tomigusuku City, and OKEON Churamori Project. In the first workshop on 27th May, Nick presented his soundscape research to a group of enthusiastic birdwatchers who were eager to answer Nick’s questions on birds. 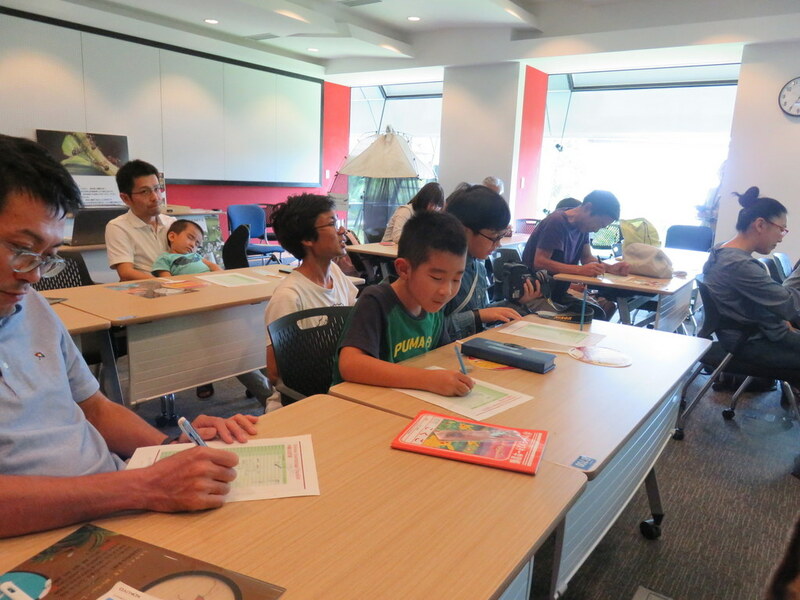 The second workshop was at OIST on 12 August. 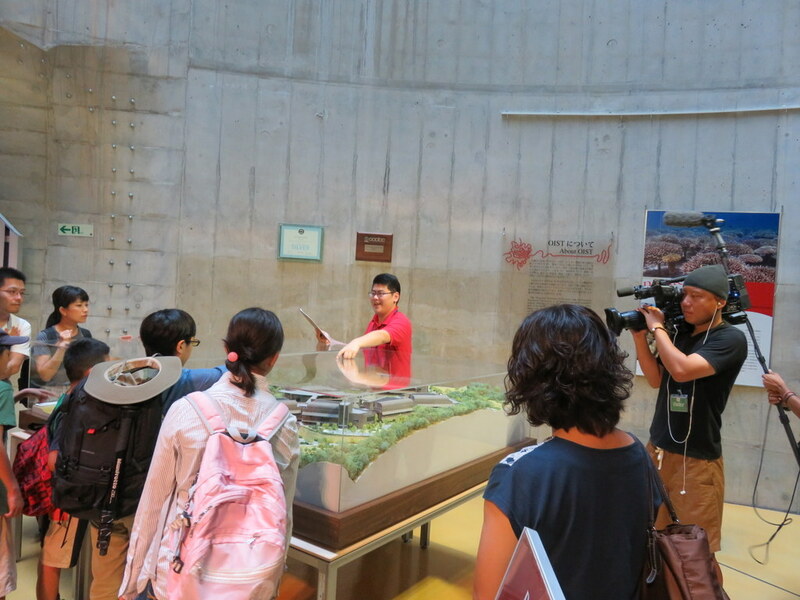 We invited the birdwatchers to campus and had a campus tour led by a OIST student. This was followed by an introduction to the OKEON Churamori project and Nick’s workshop. The concept of this workshop was to not only have participants listen the talk, but also to experience scientific research. They tried to identify the bird species by listening their calls. While some species were difficult to identify solely through the sound data, many participants were able to identify the species as they knew quite a lot about bird calls and their ecology. 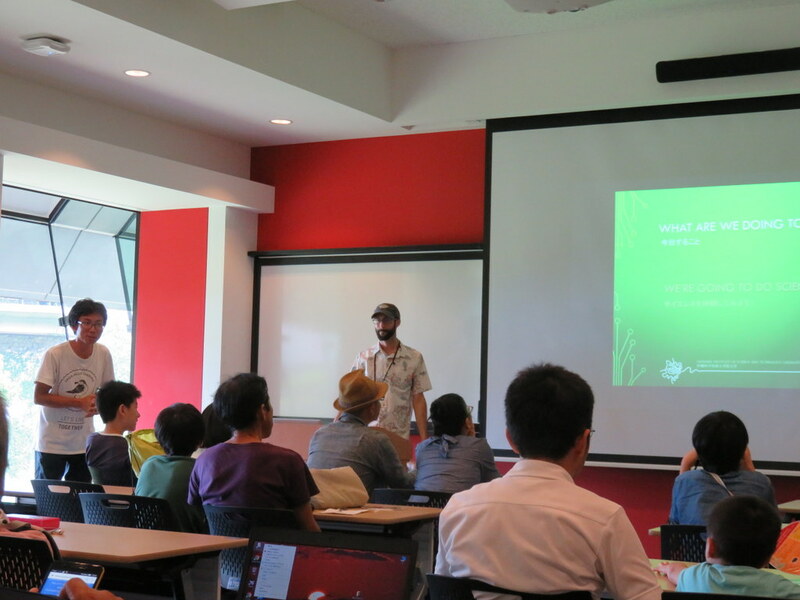 It was a constructive and worthwhile experience to exchange information between the birdwatchers and the OIST researchers- this is exactly what science communication is about!